There are always questions to ask professionals that you come across and want to have do work for you. When going to hire a radiant heating and cooling contractor, make sure that you know what questions to ask. You want to ensure that they can do the job but that they also are professionals and will remain that way. Question 1 – Are You Licensed and Insured? Knowing if any professional is licensed and insured is always a good thing. You want to make sure that they know what they’re doing when the time comes. You also want to make sure that you’re covered in case something happens. Therefore, insurance is so important to a professional when doing anything on the home. Question 2 – Do You Work on a Contract? You always want to document and put large jobs on a contract. This covers anyone in case something was to happen. You then must make sure that you cover all your bases. This contract is the legal document that is going to protect both parties if something isn’t paid, or something isn’t done as stated in the contract. Question 3 – Can You Recommend the Best System? 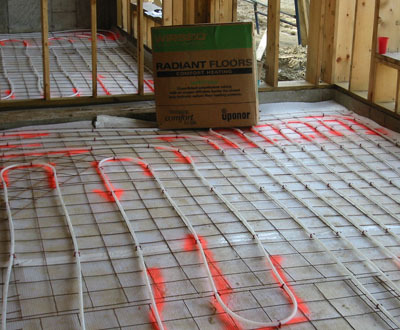 Oftentimes people want to make the switch to radiant heating but they’re unsure of what system they might need to do so. The right professional is going to sell you the right system for your home and not the most expensive one. They will give you all your options and not just the most expensive. This not only benefits you, but it shows that they’re a good company to work with. Contractors Today can provide you with the info you need for the local radiant heating and cooling contractors working in your area today. Just fill out the form below or give us a call for more information.